This experience moved me to emphasise my work on rural communities. What could be done in the countryside so that people could continue to live there? How could these communities maintain and improve their rural livelihoods? By trying to find answers to this questions I embarked on a long – still ongoing – journey. 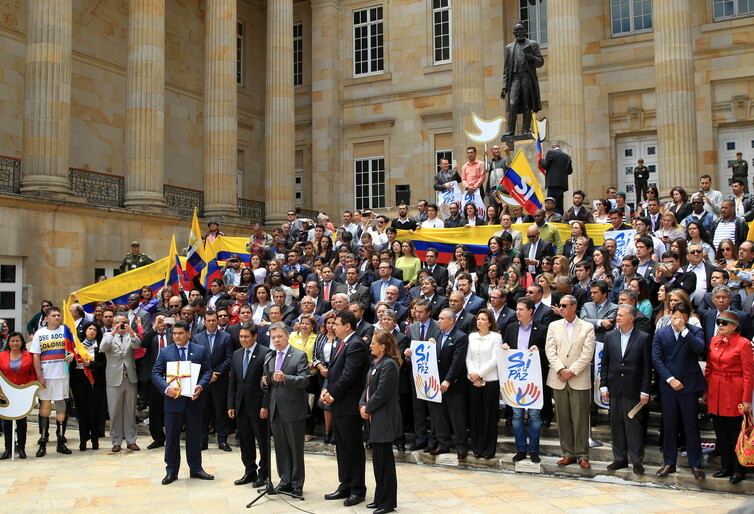 President Santos delivers the peace agreement to the Colombian Congress.